Why the rise of social responsibility is good for business. I work for a company whose job it is to tell stories to consumers about brands on behalf our clients. Stories that help communicate what our client's product is or does or services they provide. Stories about who they are. And stories about how they behave as a company. Stories are important, they are one of the great forces of the universe; they can pull us together and they can drive us apart; they can make us laugh, or cry, or lean in spellbound; they give us values to believe in and reasons for being. The really good ones we internalize, add something of ourselves to, and pass on. Stories help us to make sense of the world and to find our place in it. I'm going to talk about the value of stories from a consumer, business and brand perspective. And consumers, although I don't like that word, are very important here - they're the people who make the private sector - businesses and brands - actually work. I'm going to talk to you today about a new set of stories that our clients are starting to tell about themselves: stories concerning the relationship between what they do as businesses, and the communities and the environment - local and global - that they affect. I'm going to talk about the changing context in which those stories are told, about who is telling them and how they're shared - about how the global information revolution is creating a new culture of radical transparency and a new meritocracy. Finally, I'm going to argue that the growing demands for businesses to behave responsibly and ethically is an opportunity, not a threat, for companies and countries that are smart enough to see it that way. "These towels have been made under fair labour conditions, in a safe and healthy working environment which is free of discrimination, and where management has committed to respecting the rights and dignity of labour." The other set had no such label. Over five months, the researchers observed the impact of making various changes such as switching the label to the other set of towels, and raising prices. The results were striking: sales of towels increased significantly when they carried the Fair and Square label. Not only that, but they carried on increasing each time the price was raised. That was just an experiment, but it illuminates a couple of important truths. The first is that these days, people are willing to pay more for products and brands produced by companies with higher ethical standards. Second, at price parity, they'll choose brands with higher ethical standards over those that don't. Now: I work with consumer-oriented businesses like Ford, Nestle, Kraft, Nokia, HSBC and Unilever. For these guys, the consumer is boss. Unless they are in tune with the changing needs and desires of their consumers, they will go out of business. It's my job to stay in touch with what consumers are thinking and feeling, and to help these companies communicate with consumers better, with the ultimate aim of selling more of whatever it is that they're selling and making bigger profits. But how? One thing that my clients and I are agreed on is this: consumers are increasingly looking to do business with companies that are, in some way, ethically, environmentally and socially responsible. These concerns are driven by the fundamental changes our planet is facing, that you're all very aware of: population growth, rising demand for finite resources, and climate change. It may be that these concerns are currently overshadowed by instability in financial markets, but they are not going to go away. People are worried about this stuff. And increasingly, they want the things they buy to reflect their concerns. They're taking it personally. HSBC is now the world's second largest financial organisation. The world's local bank is tightly focused on their customers' values and understands that issues around sustainability are of rising global concern. Far from being a conversation between fringe-dwelling tree huggers these issues are now the stuff of mainstream debate, as you will see from this commercial that we have just made for HSBC. This is not a commercial for a particular product or service, but for the HSBC brand itself. It's putting itself in the middle of the "values" conversation, something that the bank would never have done a few years ago. You only have to walk down a high-street in the US or the UK to see the result of consumer demand for ethically produced goods. Most famously, The Body Shop, but you can buy Fair Trade coffee in Starbucks, at a premium price. You can buy clothes from American Apparel safe in the knowledge that they've been made in the US and the staff have been paid and treated well. Or you can buy Green & Black's chocolate and indulge your conscience as well as your taste buds. Even Wal-Mart, which so many see as the face of unbridled capitalism, now uses the strap-line "Save Money. Live Better" and has regular product offers under the headlines "Save money. Save Energy. Save The Environment". Now, am I suggesting that all consumers in the developed world are poring over company reports, investigating their labour practices, measuring their carbon footprints, joining charities, and demanding to pay more for ethically sourced products? No. But as the world's most well-read blog, The Huffington Post, pointed out in February this year, "they (read young, well educated consumers) have realised the power that lies in the decisions they make - to buy or nor to buy. In our consumer culture, shoppers have the ability to hold companies accountable for their actions". It goes on, "by purchasing from companies that are socially responsible - and not buying from those who are not - we can use our wallets to pursue our values. Companies who do not adapt will pay the price". 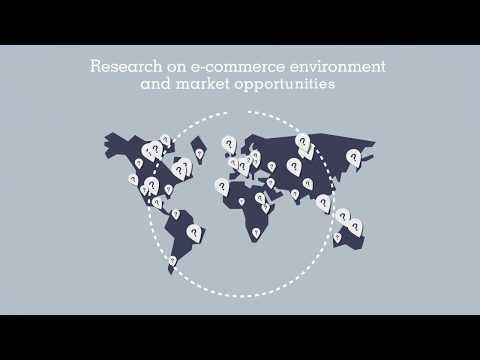 The Henley Centre is a global consumer research consultancy. Its research shows that, more than ever before, consumers are aware that their buying decisions have consequences. Some of them are highly-informed about sustainability or ethical issues. Most simply want to somehow 'make a difference'. Pioneers are making real changes to their lives and are very careful when they buy something, to ensure that it meets an ethical and environmental standard. Adopters are getting there. Strugglers know what they're supposed to do, but aren't always doing it. As for the Confused - well, they're just confused. As you can see, the people who really engage with these issues and are changing their behaviour to some degree - Pioneers and Adopters - account for somewhere between 30% and 40% of the population of these countries. Interesting that China has a higher proportion of these groups than the UK or the US. Once you add in the other groups who at least have some motivation to consume ethically, then you're looking at a majority of consumers. Henley expects the Pioneer and Adopter segments to grow over the next few years. More than 50% of those surveyed are predisposed to do the right thing - or they are busy doing it. Even the confused amongst us are willing to make a difference if someone can show us how. The UK retailer Marks and Spencer conducted a large-scale survey last year to investigate the relationship between customers' attitude to green issues and what they bought. They found that only about 10% of customers were really committed to the cause of green consumption. About a quarter weren't interested at all. Research is one indicator, pop culture another. Over the next couple of years, we'll see these new consumer attitudes openly challenged and championed. I realize that it might sound naïve of me to argue that these new consumer attitudes are a powerful force in our economies, at a time when the world is staring an economic downturn in the face. Will people still be concerned about the environment when they're worried about balancing their monthly budget? Will companies still think it's as important to pursue good ethical practices when their profits are being squeezed? My guess is that they will. I don't think this trend towards ethical consumption is a bubble that's about to burst. It's not cyclical or cynical. It represents a deep and enduring change in the way consumers buy and companies sell. To a certain extent, people have made ethical shopping something they don't compromise on. What underlies this deep-rooted change is the new global culture of transparency. A business person reading about the towel experiment we started with might conclude that all he or she needs to do to raise their sales and profitability is slap a label on the product like the one the researchers used. That might work for a few weeks, or even a few months. But then, if it wasn't true, you'd get found out, and the consequences would be disastrous. In the real world, that label will only enable you charge a higher price if it's telling a true story about your business. Authenticity and integrity are highly prized in the new communications order. The truth is, companies and marketers have never been the ones to determine a brand's public image and reputation - that's always been in the hands of the public. Or, more accurately, their hearts and minds. And now, what's in their hearts and minds is on the record and in plain view for all to see. If you Google Coca Cola "products" your search will return 480,000 results. Coke "employees", 2,020,000 and Coke "environment", 2,830,000. A search as broad as "cotton" or "coffee" yields similar results. People are interested in a company's overall conduct and all this information is freely available. There are clear signs that it's being organised and presented in new, digitally enlightened, ways. Check out the BrandTags website. Today, more than ever before, companies have to be honest and candid about what they do. We are in a world of radical transparency. Most consumers in the developed world and many in the developing world can capture and distribute, and seek out information in the form of pictures, words, or video in a way that is historically unprecedented. (There is a Google/HSBC venture called "o3b" that will bring the web to the 3 billion people on the planet who do not currently have access). If a company relies on child labour to make its product, there will be a photo of a child in one of its factories up on a website before too long, and it will be passed around the social networks, and that company will be publicly shamed. I call this "radical transparency", but for digital natives and the next generation, it's something of a birthright. Every business has to get used to being open about its sourcing methods, its production processes, its employment policies, and its products. They have to open up to consumers. Because if they don't, consumers will open them up and it will hurt. Countless brands, Nike, Apple and Dell among them, have felt the wrath of this open and expressive consumer culture. Another example involves a company called Comcast that provides cable TV services in the US. If you search "Comcast" on YouTube, this is the first video you'll find. Comcast's CEO can't be happy about this. Perhaps I've made this world of radical transparency sound like bad news for business, like a threat that we just have to defend ourselves against. I don't believe that. In fact I believe the opposite. I believe that a culture of transparency is not only good for society, but a good thing for businesses. Why? Partly because it forces us to be honest, and - just like your mother told you - it's pretty much always best, in the end, to be honest. But also because it's an invitation to share more, and more interesting stories with consumers. And, if those stories are good enough, consumers will share them with each other. Successful companies have always told great stories. But in the past those stories have usually been about their product and brand. But now we tell stories about the whole company. The culture of transparency opens up whole areas of a business to consumers - and the smartest companies and countries will be right out there in front, telling their own stories about what's going on inside their business. They will also be finding ways of getting people to share these stories with other people. We live in a world where what your friend tells you is more influential than what you read in a newspaper or see in an ad. We're beyond the information age into the recommendation age. As Chris Anderson says in his book, The Long Tail, "the audience is the network". If you're going to create stories about your company and how it does business, you want them to be shared as widely as possible. And that means making them entertaining: people only pass on stuff if it's interesting. So, as well as being transparent, you have to entertain or inform. I want to use two examples to illustrate what I mean by all this. Both of them are American companies that are massive, monolithic, and somewhat slow to change. But both are adapting to this new culture of transparency. The first is Ford, one of my clients. As you know, this is a company experiencing fierce competition, and very tough times. In the age of transparency, that's not a story that's confined to the business pages. The culture of transparency abhors a vacuum. If you're not telling stories about your company, other people's stories about your company will fill the void. Every day there was a new rumour about Ford's financial health. Consumers all over America knew that Ford wasn't performing well, and that made them wonder about the performance of Ford's cars. Instead of carrying on as normal, doing only traditional advertising, and pretending everything was OK, Ford decided to 'lift up the bonnet'; to show consumers what was going inside their business, on their own terms, rather than let stories leak out. The more stories you share with consumers, and the better those stories are, the more interested they get in you, the better relationship they have with you, and the more likely they are to buy your products. Time spent with brand communications correlates with affinity, and affinity with market share. It's early days yet with Ford but they believe this innovation in storytelling is helping them turn their business around. It's just one example of how the culture of transparency is an opportunity for businesses. A few years ago, a mid-level executive at Microsoft called Lenn Pryor came up with an idea. Why not use the internet to create a new channel of communication with our suppliers and customers? He put together a small team of colleagues, armed them with camcorders and put them to work interviewing people around the company about what they were working on. He posted the results, largely unedited, on a website called Channel 9, and invited the company's stakeholders to respond and comment and join in. Microsoft wasn't known for its culture of transparency. Pryor's initiative made a lot of people nervous. In the first year, of Channel 9, Pryor estimates he came close to getting fired at least ten times. But then, Microsoft executives started to realize just how enthusiastically its customers were responding to this new spirit of open-ness, it now champions Channel 9 as a sign of how it is moving towards a more transparent culture. Here's is the Channel 9 manifesto - the rules of conversation put together by Pryor and his colleagues. The culture of transparency means that companies have to open up about the way they do business. Consumers are seeking out and showing a willingness to pay more for, or choose products an services from companies with high ethical and environmental standards, over those without. So the companies that have great stories to tell about their social responsibility, and who tell those stories well, have a great future. Being an environmentally and socially responsible business is not the same as being a charity, or being charitable. It's not about giving a percentage of your profits away, admirable though that is. It's about how you earn those profits in the first place. Michael Porter, professor of business studies at Harvard, says that if, as a business, you're asking should I maximize my profits, or be socially responsible, then you're asking the wrong question. It's a false choice. Perhaps the most famous example of this is the company founded more than 30 years ago by Anita Roddick, The Body Shop, which made good corporate citizenship one of the central pillars of its business model. The Body Shop went on to be bought by L'Oreal for $1.32 billion. In a world where many people are concerned about their carbon emissions, Toyota created the world's first hybrid-engine car: the Prius. Toyota took a long view on this technology. They're making a lot of money from it and it gives them a great success story to tell about their business and brand. When Alexander Graham Bell first invented the telephone he said, "it is my firm belief that the day will come when there will be a telephone in every town in America". And so to Kenya. In 2000, when Vodafone bought a large stake in a Kenyan cell-phone company, it figured that the market in Kenya would max out at 400,000 users. Today that company, Safaricom, has more than 10 million. The company has done it by finding creative ways to serve low-income Kenyans. Its customers are charged by the second rather than by the minute, for example, which keeps down the cost. Safaricom is making a profit, and it&#39;s making a difference. Farmers use their cell phones to find the best prices in nearby markets. As a rule, for every 10% increase in mobile phone penetration, there's a 1% rise in GDP. The clothing manufacturer Patagonia stopped making its best-selling range because it involved pesticides that were bad for the environment. But it turned out to be good for the business and great for the brand. As its CEO says, "Every time I've done the right thing for the environment I've made money." GE have created a programme called 'ecomagination', a big push to invest in green technology and to sell more products with better environmental performance. It's making big investments, and it expects a big return: $20 billion by 2010. It's turning out to be great for the business and for the GE brand. GE isn't doing this because it's philanthropic. It's moving in the direction its consumers are pushing it, using the increased concerns about the environment as a spur to create new revenue streams. Bill Gates talks about 'creative capitalism'. There's a lot of debate over what that phrase means. But here's what it means to me: the culture of transparency and the desire of our consumers for ethical consumption are spurs to creativity in the business community. They make us think of new products and new services that can meet these consumer demands; that are good for society, and that make money. They give us more stories to tell. Companies that see their ethical responsibilities as something that's nice to have will very quickly see it as a cost that can be cut when times get tough. But companies that see it as an opportunity to make money and strengthen their reputation will just look for more opportunity. Those companies that see this new era as an opportunity to make money from the changing demands of their consumers - and to tell more and more powerful stories about themselves - about how they behave internally, about where they source their raw materials, about what goes into their products - will be the ones that prosper. There's even well worn language around these themes now - the notion of the "triple bottom line" - returns measured in terms of profit, social contribution and the environment. When DeBeers sought to re-engineer its diamond business we helped them create a new brand, the Forevermark, that develops a story of product integrity, provenance and ethical mining practice. Natura is a large Brazilian cosmetics company founded on the naturalness of its products and its sensitivity and contribution to the environment and the community. In China, two of the country's wealthiest business people are leading businesses with strong triple bottom line credentials. One is Dr Zhengrong Shi, founder and CEO of Suntech Power, a Nasdaq listed company that produces photovoltaic cells, (solar panels to the rest of us). His personal wealth is estimated at $25 billion. The other, Zhang Yin, is China's wealthiest woman. She started a company that ships waste paper from the US to China where it is recycled into containerboard. I suspect that companies in emerging economies, the kinds of economies that many of you here today represent, have the biggest opportunity of all. Consumers across the world and especially in developed economies are more eager than ever to hear stories about the companies that sell them things. At the same time, and again because the Internet is a global medium, we're more interested in the rest of the world than ever before. We love stories about the foreign, the exotic. And we're willing to pay more for them. Most global brands are actually very local. Remember, there are very few truly global brands. Most brands have a strong sense of provenance. Nike is very American. Ikea is very Swedish. Chanel could only ever be French. Where you're from is a great way of talking about who you are, de-commoditising sectors - and of persuading people to pay a premium price. Businesses can also be branded more locally. Think about how Jack Daniel's have turned Lynchburg, Tennessee, their hometown, into a global legend. Sometimes this sense of rooted-ness in local geography can be explicitly written into the name, and even legislated for, as in the case of Parma ham, Merino wool, French champagne and Egyptian Cotton. If businesses can be branded around countries, countries can also be branded around businesses, and industries: The Swiss became famous for their watches, cheese and chocolate. America for the entertainment industry, Germany for its engineering, and so on. Whichever way you come at it, the point is that there are many ways to differentiate your goods and services from others, and this differentiation is key to success. Back in 1917 J Walter Thompson had this to say on the subject. "Somewhere in your product, or in your business, there is a 'difference', an idea that can be developed into a story so big, so vital and so compelling to your public as to isolate your product from its competitors, and make your public think of it as distinctly a different kind of product." When I'm talking to businesses in developing economies, I tell them that stories that might seem familiar or banal to you - stories about where your mineral water is sourced, or how your employees interact with one another at work - will seem fascinating to the rest of us. You can interrogate your own company, and the local and national culture it comes from, for stories that the rest of the world will find interesting. Stories about your employment policies, your environmental policies, your sourcing policies. Stories about how you do business. Stories about your national character and traditions. Because the rest of the world is listening. Let me give you an example - the Kupi Luwak bean. Picture yourself in Indonesia, on the islands of Sumatra, Bali or Sumatra. There lives the Palm Civet, a curious cross between a cat and a monkey, which feasts on the soft coffee cherries, digests the fruit pulp and excretes the beans onto the forest floor. Plantation workers then collect the beans, which are extremely rare, with less than 450 pounds harvested each year. The civets are said to pick the best and ripest coffee berries and it is though that their gastric juices may add to the flavour. All part of the story that had Londoners paying up to £50 a cup for Kupi Luwak coffee at upmarket retailer Peter Jones and saw it featured in "The Bucket List", a recent film from Hollywood, starring Jack Nicholson and Morgan Freeman. Fiji water is a massive success story now employing some 480 people and representing 15% of Fijian exports. And Banco Real is known far and wide in Brazil as the environmentally friendly bank. If a company doesn't have a good story about social responsibility to tell, it should make one up. I don't mean, tell a lie - because, as we've seen, that won't work. I mean create an initiative that's good for the business but that also has a socially responsible dimension, that gives rise to a great story - GE and Wal-Mart, like Patagonia, like Vodafone. I want to finish by touching on the big question: why should we in business even bother thinking about this stuff? Shouldn't we just stick to what we know about - making money? The economist Milton Friedman thought we should. In 1970 he argued, "there is one and only one social responsibility of business - to increase its profits". That's become the orthodox view among free market economists (and just look where that's got us!). They argue that as long as a business is abiding by the law, asking it to worry about anything else is a dangerous mistake. Of course, a business person can be compassionate, and politically active and so on. But if they confuse the activity of running a business with public service, they'll end up running a bad business - and that's bad news for society. "I believe that the enlightened corporation should try to create value for all of its constituencies. From an investor&#39;s perspective, the purpose of the business is to maximize profits. But that&#39;s not the purpose for other stakeholders - for customers, employees, suppliers, and the community. Each of those groups will define the purpose of the business in terms of its own needs and desires, and each perspective is valid and legitimate." That's closer to the way I think about it. In my field, we're always asking our clients to think about what the benefit is of whatever they're selling. That's different from the product. A professor of marketing once reminded his students that people don't want a quarter-inch drill; they want quarter-inch holes. Whatever you're selling, you have to get the product right before anything else - and businesses have to ensure that they generate profits. But making money isn't an end in itself. It's the means. The ultimate benefit of a business is always bound up with the society and the environment it exists in. It's the thing that gets us out of bed in the morning: the quest for contribution, reputation, respect, meaningful work, education and health care, giving them better tools, giving people a job they like, and so on. Different business people will frame that benefit in different ways depending on where they come from, what they do and what they care about. The way I've framed it today is the way I feel about it: I do what I do because I want to generate more interesting, more compelling stories for people to hear and share and discuss. For me, my business, and for many businesses, the fact that consumers are demanding higher ethical and environmental standards is a huge creative spark, for every part of the business of my clients. It drives them and us to create, curate and communicate more and better stories about what we're doing for the communities we work with and the planet we live on. More and more consumers everywhere are looking for ethically sound and environmentally responsible and sustainable brands. There is an increasingly holistic view taken of business and brands. Even in a downturn those values are sticky. Technology puts everything on the record. Do as your mother taught you - do the right thing, tell the truth, look people in the eyes when you talk to them, listen well and apologise when you make mistakes. Authenticity and integrity are important business and brand values. In a culture of radical transparency these things will serve you especially well. Doing good is good for business. It's working on a significant scale. There's a very good chance that developing countries, companies and brands have much better stories to tell than they know, or know how to tell really well. Good stories, true stories of businesses with high ethical standards and sound sustainable conduct are good for business. They should be, it's important for growth, prosperity and well being the world over. But there's a higher purpose here too. We have an obligation, all of us, to deliver the world safe and sound into the hands of our children and theirs. Sustainability is about "meeting the needs of the present generation without compromising the ability of future generations to meet their needs". I would encourage us all to develop initiatives, policies and practices so that we can tell the right stories to ensure that this happens. It may well be these stories are the most powerful and sustainable resource of all.